As health and wellness programs evolve with both variety and sophistication and participants become more tech-savvy, the demands on your corporate wellness portal changes too. Wellness companies experience this everyday with the clients they serve. To keep pace with this evolution, new wellness technology providers are cropping up in the marketplace. Technology today needs to do more than just provide participants with a way to track activity and join wellness challenges – organizations are looking for new features and requirements that didn’t even exist 5 years ago. As a corporate wellness provider, your technology is as important as the services you provide. 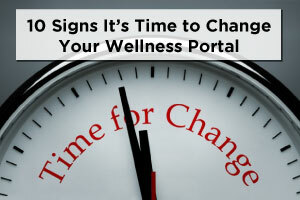 So how do you know when it’s time to switch your corporate wellness portal? Poor User Experience – if participants are complaining about issues logging in or the portal is not intuitive, engaging or fun, then that’s a big indicator. Gamification is a must-have that incorporates games and competition to excite participants and motivate them to stay on track. If a user logs in and is confused or frustrated, getting them engaged to participate and see progress will be near impossible. A fun user experience is top priority! Limited Flexibility & Customization – if your current portal can only be ‘customized’ to include your corporate colors and logo, but everything else on the page stays the same, that’s a big limitation. As a wellness provider, you service a variety of workplaces that may want to include different features and widgets than another. Branding is just the start! 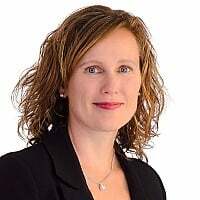 You should be able to pick and choose what components you want to appear and where they are situated on the page including seamlessly accessing health and wellness articles, health risk assessments, coaching and beyond. Issues Integrating with Third-Party Software – Can your portal deliver a seamless experience via an employer intranet where users can login to one system and gain access to several (the benefits of SSO or Single Sign On). Can your wellness portal easily integrate with your health claims information? Can you integrate with third-party tools like health content, self-directed programs or enable participants to easily sync their wearable device to the platform? If not, you have hit some unnecessary barriers. Need multiple platforms to get the job done – if you need to login to multiple tools to run wellness challenges, schedule activities, conduct health assessments, implement coaching, track incentives, communicate to participants and conduct polls and surveys then things get confusing and complicated! All of these tasks should and can be accomplished with one solution. Slow Customer Service – If your vendor takes days or months to get back to you about simple password resets or incentive tracking, you have a problem. You should have full control to make most changes on your portal and only contact the vendor when you have a problem or get some impromptu training to fix it yourself. You shouldn’t have to wait 20 minutes for the vendor to re-set passwords!! Inadequate or Untrustworthy Reporting – are you able to pull all the reports you need to report ROI/VOI? Do you trust the data being reported or do you end up exporting data and slicing and dicing in Excel? Do you have graphically interesting dashboards that help tell your wellness story? Can you give company leaders access to login on their own to get a ‘pulse’ on your program and employee health? This can all be accomplished with the right solution. Unable to Accommodate Other Languages – as your wellness company expands with an increasing client-base, so may the workforces you provide wellness services too. You may start to support global workforces that require both the platform and content to be in a different language beyond English. Your platform should be able to accommodate different languages and cultures. Stuck with One Size Fits all Incentives and Programs – Are you limited with the number of activity challenges you can provide? Do you have the freedom to create your own? Can participants personalize programs to align with their preferences, needs and schedule? It’s essential to have the flexibility to deliver tailored and personalized wellness programs to both the organization and participants to get the best results. Portal Value Doesn’t Justify the Cost – we’ve all heard that saying “you get what you pay for” but surprisingly, with wellness technology, that’s not always the case. Organizations often spend tens of thousands of dollars with minimal options to customize, have access to a limited number of out-of-the-box wellness challenges, are stuck with inaccurate reporting and experience poor customer service just because they feel there are no other options - frustrating and wasteful! 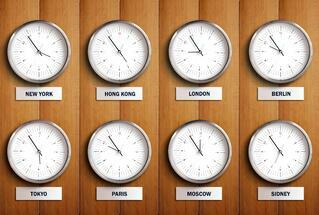 Living in a Time Warp – Does your portal look tired and unexciting? Can it be viewed from any device and still look good? If not, it’s probably not designed to be responsive. Does your vendor provide regular software updates throughout the year and/or charge for those upgrades? Technology providers should be providing regular updates throughout the year (CoreHealth provides at least three updates a year at no charge); otherwise, the technology can quickly become stale and unable to evolve as fast as your customers. Do These Signs Sound Familiar? If you experience one, some or all of the above, it may be time to start looking for another corporate wellness tracking software. Checkout the 10+ Must have Features in Corporate Wellness Technology or download a Corporate Wellness Technology Requirements Checklist to assist you with your research to a new, better provider.